The "Glitter Basic" kit has six 1/4 oz. jars of glitter and includes a 2 oz. bottle of glue, metal tip and tools. Choose between original Designer Dries Clear or Fabric Dries Clear adhesive for your kit. 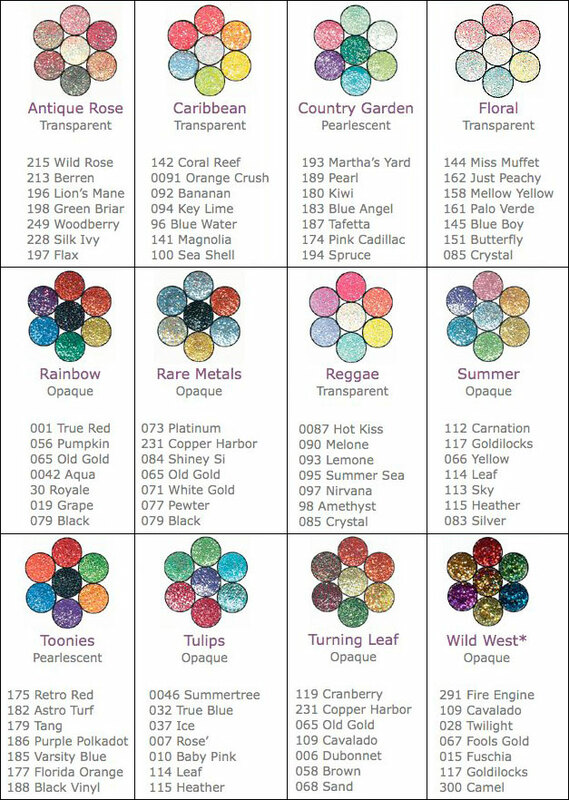 Please look at the picture below for all of the beautiful color combinations that we offer. When ordering, choose your color combination and also choose the type of glue that you would like.